Koudo Ikusei Senior High School is a leading prestigious school with state-of-the-art facilities where nearly 100% of students go on to university or find employment. The students there have the freedom to wear any hairstyle and bring any personal effects they desire. Koudo Ikusei is a paradise-like school, but the truth is that only the most superior of students receive favorable treatment. Kiyotaka Ayanokouji is a student of D-class, which is where the school dumps its “inferior” students in order to ridicule them. For a certain reason, Kiyotaka was careless on his entrance examination, and was put in D-class. 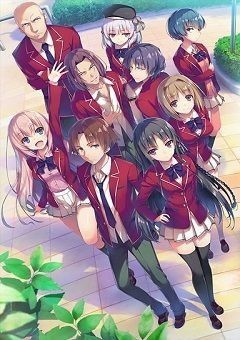 After meeting Suzune Horikita and Kikyou Kushida, two other students in his class, Kiyotaka’s situation begins to change.